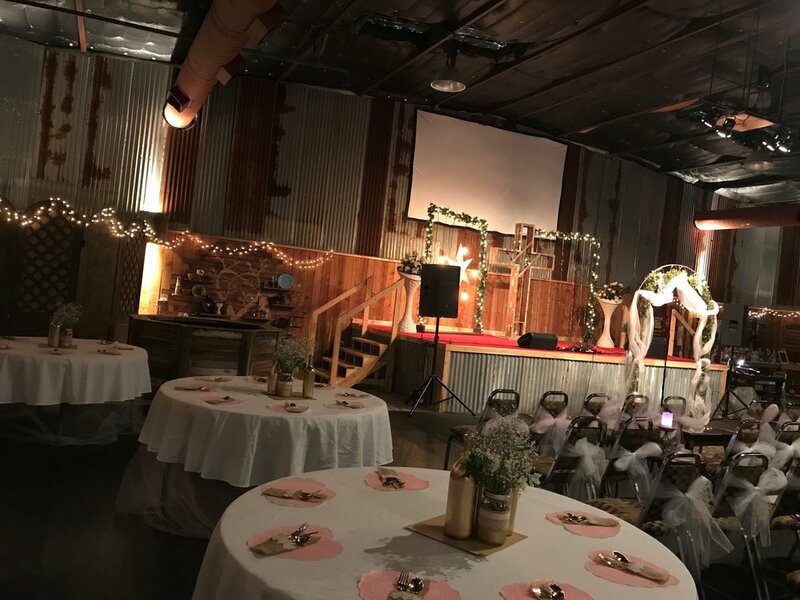 The Big Red Barn is great if you're a do-it-yourself event planner. The price is right and you have so much flexibility within the space to get the look you want for your big day. The only limit is your imagination! Galileo Church sign is visible from Highway I20 eastbound. Look to the right as you pass over Mansfield Highway. Garage doors can be opened for the event. This is the default chair arrangement w/ approx 150 chairs. No tables included. Set up for a wedding and reception for 150 people. Wedding Reception - Round tables setup with white table clothes. The Kids Room can be repurposed for a wedding changing room. Room can be used to fit your needs. 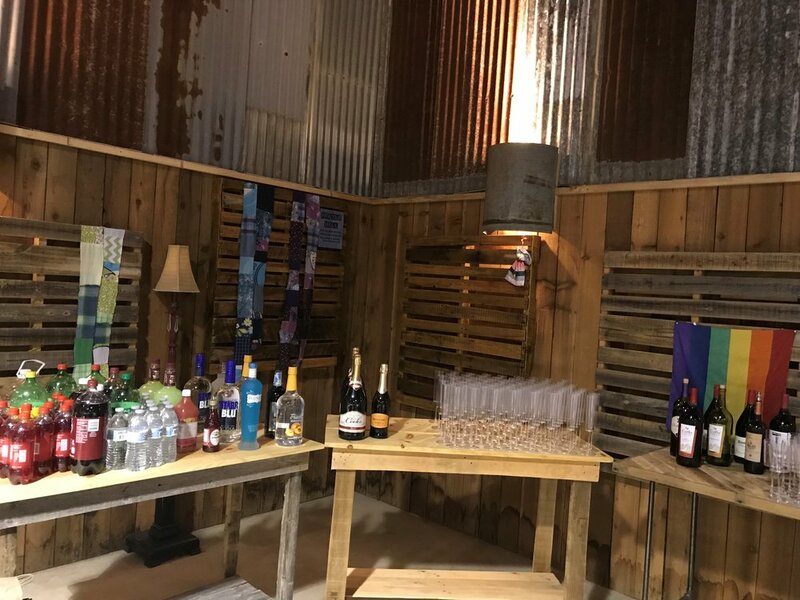 This area is versatile and can be turned into a drink corner. This cheerful, shabby-chic, urban-rural Big Red Barn (with a sense of humor!) 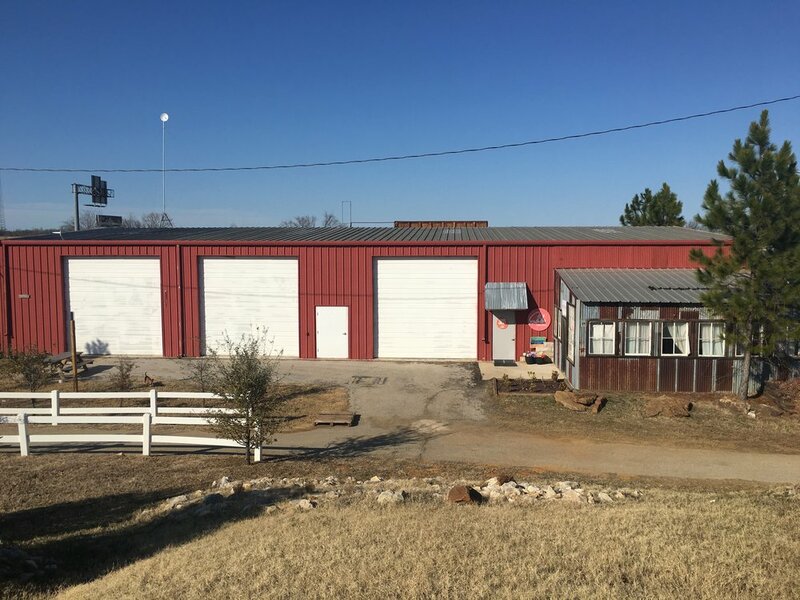 is a 5200 sq foot facility with corrugated sheet metal and cedar panel walls. 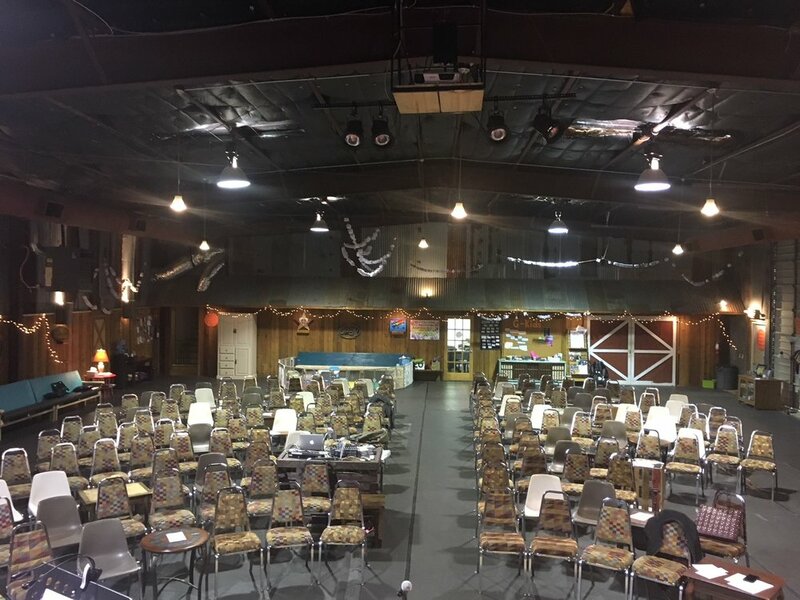 It's perfect for private events like birthdays, weddings, celebrations, and family reunions; and equally perfect for public events like concerts, recitals, small conventions, and seminars. 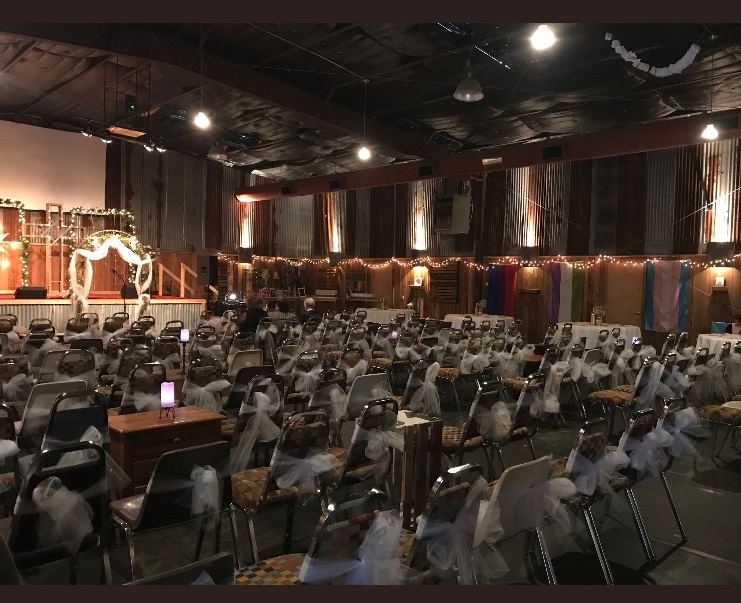 We are open and affirming to the LGBTQ+ community and would love to provide a safe space for your wedding and reception. Not responsible for your kids. 4 hours of rental time. A host to help and run sound equipment from the church as desired. A furniture preset of your choice. A custodial clean up and reset of the church. All available furniture (please see below). 3 rectangular wood tables and about 10 smaller end tables. 1 large wooden baptistery that can be covered and used for display (ex: cake). 50 white folding chairs - great for outside seating. we will meet with you and you decide what you want the arrangement to be and on the day of the event we will have everything ready to go. *The Rental Fee includes a $250.00 non-refundable deposit and 4 hours of rental time - this includes the entire time you are in the barn. 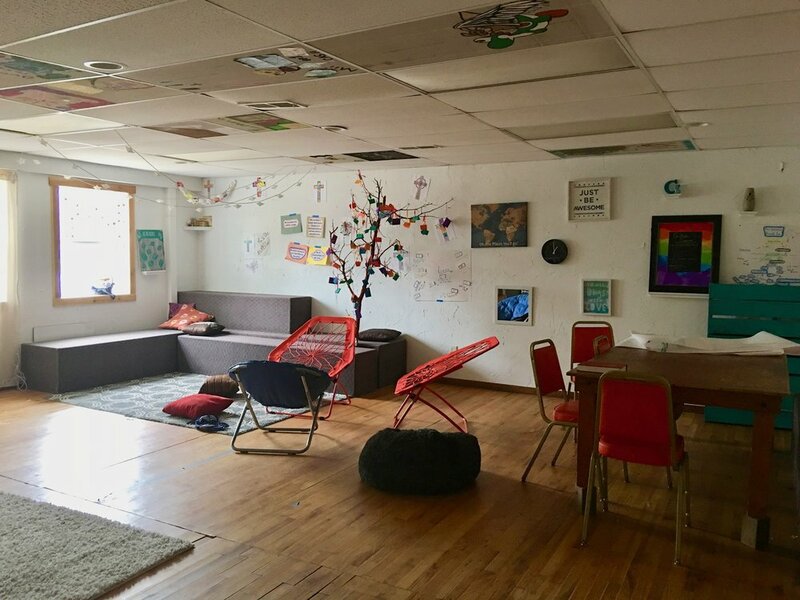 I want to rent the space for 6 hours, 60 guests, add - custom furniture setup/take-down, 8 tables w/ table cloths. Please contact Jessica Ball by email at jessica.rosas0928@gmail.com or by phone or text at (512)653-6796 to check availability and make an appointment to see the barn.